This tree was collected ca. 1995 by John Biel in preparation for the IBC ’97 convention in Toronto. 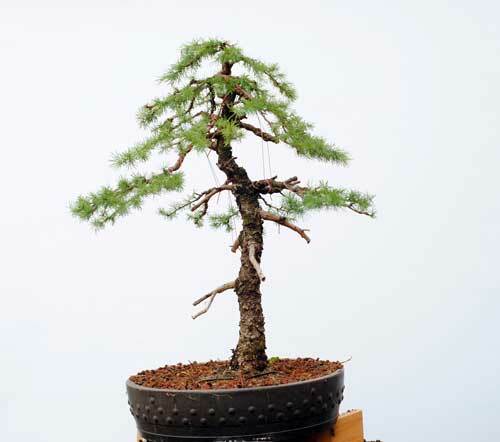 Dozens of cedars and larches were collected to be used as workshop material for that event, and afterwards they were dispersed around North America with their new owners. 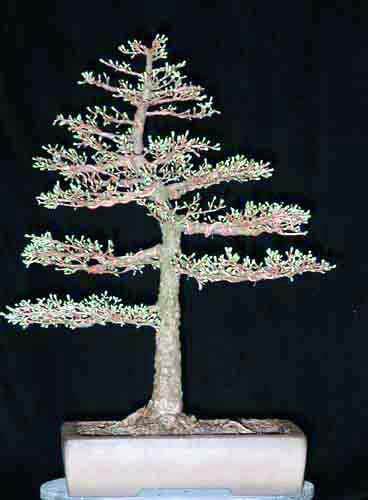 If you’ve seen or heard of a thuja or larix in the USA that was “collected in Canada some time ago”, there is a fair chance that it was collected by Reiner Goebel or John Biel in the early ’90s in preparation for the convention. 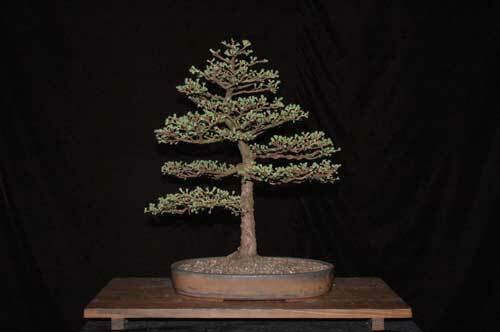 John and Reiner are two of the old guard of the Toronto bonsai scene. 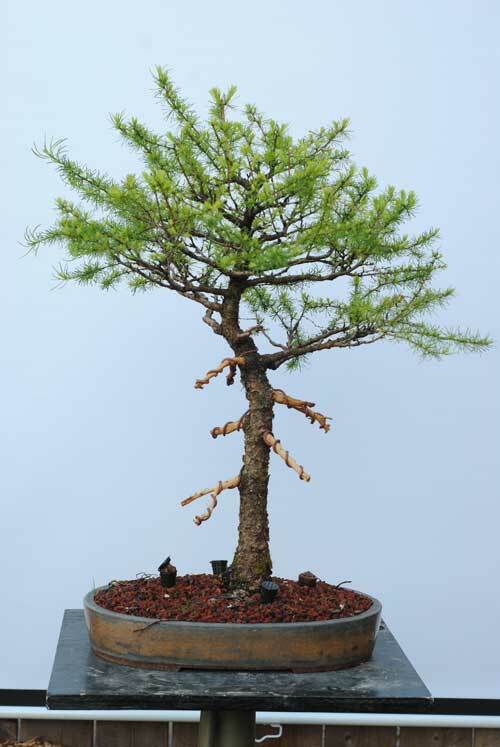 Marc Noelanders styled this larch during a workshop at IBC ’97 and the new owner took it home. 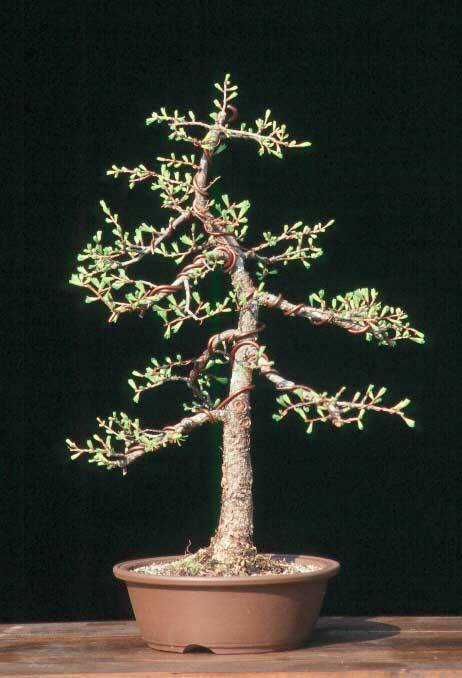 Unfortunately the owner passed away a year later and Reiner Goebel inherited the tree. Here is the oldest picture I have of the tree in 1998. In 2006 it was potted into an outstanding Horst Heinzlreiter pot. At this point the tree was near its prime, with dense ramification. 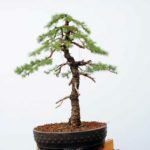 Reiner is doing well, but as of this year is completely retired from bonsai. I bought this tree from him in 2015 and it was in a state of decline. It had not been pruned for a few years and most of the interior growth was dead. 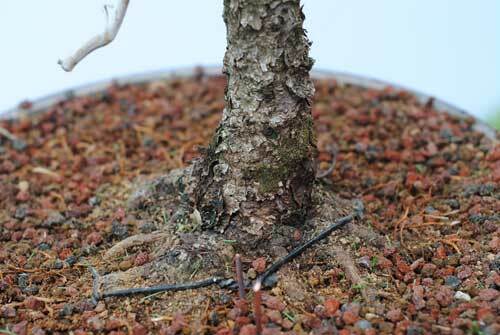 The tree was also quite weak – I don’t think it had been repotted since the previous image in 2006 (9 years prior). The best features of this tree are the stunning old bark and the exceptional nebari (collected larches with good nebari are very rare). To highlight the elegant trunk and delicate bark, I removed the majority of the old low branches which had gotten too thick. This was a difficult decision as the branches had incredible character and old bark all the way out to the secondary branches. 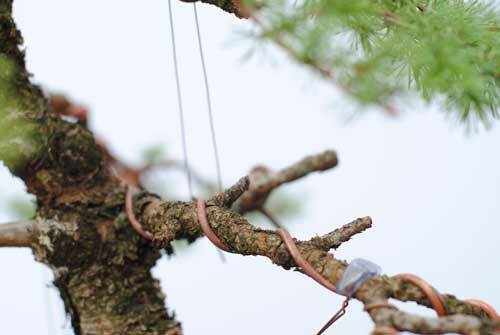 However, major changes were necessary in order to come up with a design that brings out the key features of the tree and is sustainable for many years into the future. 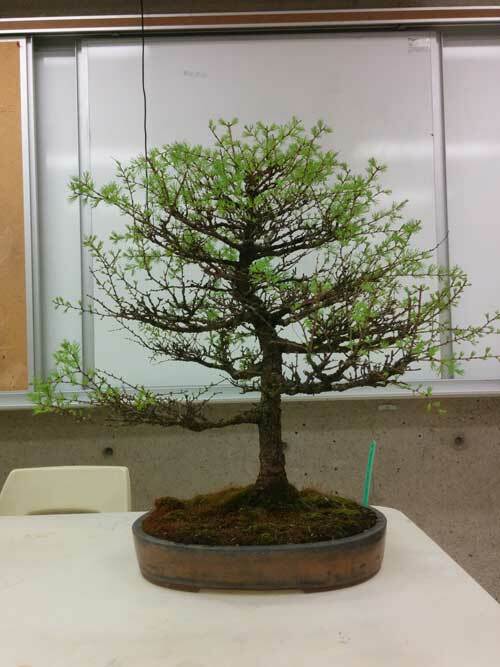 A few weeks ago I sat down with this tree and did some rough wiring. This is the best solution I could come up with. I’m pretty sure it isn’t better than the original design, but the important thing is this tree can be maintained in this image for a long time. 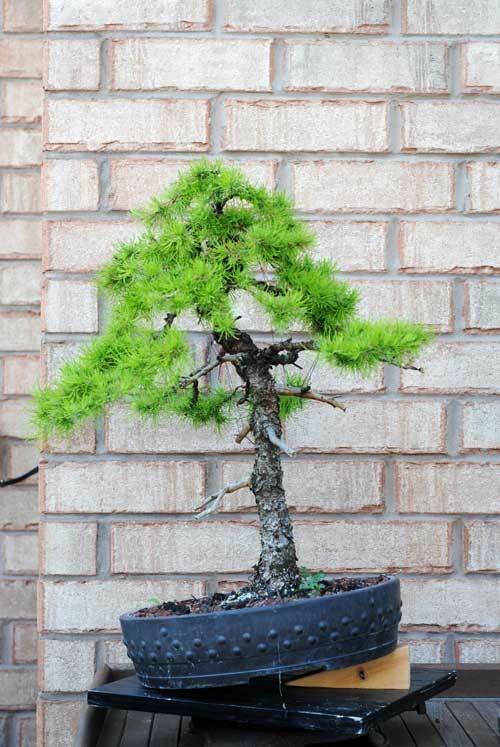 I would really like to add a secondary trunk on the left side to make it a twin trunk, however it will be difficult to find a small larch which has comparable bark characteristics. Next year it will be planted either in a nanban-style container or on a flat stone.